Post a 23-year journey and equally at home in both Hollywood and Indian films, Irrfan Khan can give you a master class on the art of subtlety. 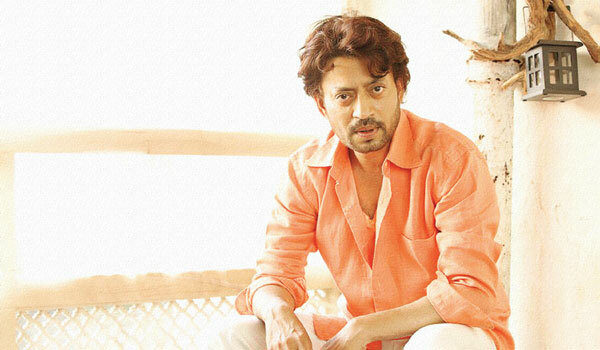 Irrfan Khan, who now prefers to be referred to by just his first name, made his acting debut as the letter writer in Mira Naira��s Salaam Bombay in 1988, but hea��s best remembered for playing parts such as Ranvijay Singh in Haasil, Maqbool in Vishal Bhardwaja��s adaptation of Macbeth, the police inspector in Slumdog Millionaire, Paan Singh Tomar in Paan Singh Tomar, Saajan Fernandes in The Lunchbox, Roohdaar in Haider and Rana in Piku. Of course he has been a part of forgettable films too, making choices that even he might question now. These included Supari, Footpath, Aan: Men At Work and Rog, to name a few. The multi-faceted, ubertalented 48-year-old has successfully traversed television, Bollywood and Hollywood, commercial and independent cinema. He is as comfortable rubbing shoulders with Ang Lee (Life of Pi) and Wes Anderson (The Darjeeling Limited) as he is co-starring with Tom Hanks (Inferno) and Andrew Garfield (The Amazing Spider-Man). Ita��s an enviable career, and one Irrfan wears with nonchalance. This misleading insouciance, which comes across on screen as well as in person, is part of his allure a�� a kind of enigma. Hea��s not a conventional Bollywood romantic hero, so ita��s perhaps no surprise that hea��s rarely been presented as one. Maqbool and 7 Khoon Maaf were aberrations until recently when Irrfan internalised the loneliness of Saajan Fernandes, wooed through his stomach and love letters in The Lunchbox, and disarmingly charmed Deepika Padukone in Piku. Born in Jaipur, Rajasthan, a graduate of the National School of Drama, Irrfan moved to Mumbai to pursue a career in acting. Years of struggle and patiently working regularly in television finally paid off when he was cast in British-Asian director Asif Kapadiaa��s The Warrior (2001). While international acclaim began then, it took Bollywood a while longer to recognise his talent. Tigmanshu Dhulia tapped into it with Haasil and the actor and director have since worked together in Charas, Paan Singh Tomar and Sahib Biwi Aur Gangster Returns. Irrfana��s other enduring partnership has been with Vishal Bhardwaj (Maqbool, 7 Khoon Maaf, Haider) and Mira Nair (Salaam Bombay, The Namesake, Migration). A Padma Shri, National Award and numerous other awards later, Irrfan, who is married to writer Sutapa Sikdar and has two sons, is currently in a golden phase. The success of The Lunchbox and Piku is being followed by the release of the highly anticipated Jurassic World. 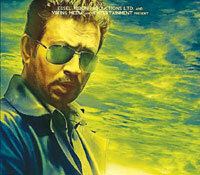 Irrfan plays Masrani, the owner of the dinosaur park. While his wife handled many of his matters, he now has a PR agency, a manager and an agent in Hollywood. Yet he remains discreet and stays off the paparazzi radar. a�?The park is now hi-tech. My character, Masrani, is a flamboyant businessman and entrepreneur who has taken over the park from the previous owner, John Hammond,a�? said Irrfan, speaking about the sci-fi adventure in which he stars alongside Chris Pratt, Vincent Da��Onofrio and Bryce Dallas Howard. His other co-stars, the dinosaurs, are of course visual effects and computer generated. But Irrfan is no stranger to working in visual effects driven films. a�?The Amazing Spider-Man and Life of Pi also had a lot of computer graphics. The difference is not in the method of performing. You are working in a blank environment and have to imagine what might be around. The difference is in the story and your behaviour changes according to the character and situation,a�? he says. Talking about the experience of shooting this feature, Irrfan adds, a�?I loved the part, the story and the team. The whole package was very attractive.a�? He mentions this difference between Hollywood and his home industry, where story is paramount and sequels do not just happen to capitalise on popularity. a�?When you are coming up with a franchise, it is all the more important to give the audience something new. Why did Steven Spielberg wait so long (the last film, Jurassic Park III, released in 2001) to make the next Jurassic film: Because he was waiting for the right script. Writing is the important star there,a�? he said. Expanding on this difference, Irrfan said, a�?Even if an actor comes up with an interpretation of the character, it still has to work around the story. There can be no compromise on that. The actor has to give in to the script and story.a�? Perhaps his most high profile film to date is the one he is currently shooting. Inferno, the latest in the Robert Langdon series, based on the book by bestseller Dan Brown, headlines Tom Hanks. In this film directed by Oscar winner Ron Howard, Irrfan plays Harry Sims, a�?The Provosta��. a�?I dona��t usually read fiction, but this one I read. Ita��s a very interesting thriller,a�? he said about the book. Asked why he thought Howard cast him in the part, Irrfan replied, a�?Ask the director,a�? his wry sense of humour bursting through. Irrfan appreciates the respect he receives internationally and also acknowledges that Indian films are being given recognition on the world stage. His owns films, like Life of Pi, Slumdog Millionaire and The Lunchbox, have contributed in no small measure to affecting this changing perception of Indian films. a�?People are beginning to see the effort and layers we bring to our work,a�? he said. This recognition of Irrfana��s contribution was evident at the 14th River to River Florence Indian Film Festival which featured a retrospective of his films. Among the films screened was A Mighty Heart and episodes from his TV show In Treatment. Relishing the nationwide affection for Piku, Irrfan said he was most impressed by his co-star Deepika Padukone. a�?She was drawn by the story and committed to it. She was ready to explore and expand her ouevre and thata��s why you feel that magic on screen.a�?At an open forum recently, director of Piku, Shoojit Sircar said of Irrfana��s acting style, a�?Irrfan wona��t do rehearsals but he puts the things in his head. The script is in his blood and veins.a�? His forthcoming Bollywood films include Sanjay Guptaa��s Jazbaa with Aishwarya Rai Bachchan, Meghna Gulzara��s Talwar with Tabu and Nishikant Kamata��s social thriller Madaari which Irrfan is also co-producing. The Indo-French production Divine Lovers, with Irrfan and Kangana Ranaut, is still under-development. Speaking of the Indian film industry and its changing face, especially after the success of his own The Lunchbox, Irrfan said, a�?The film industry is definitely expanding. There is a lot more new and fresh talent and a changing scene. The audience is looking for good cinema. There are a few courageous, imaginative filmmakers who are passionate about storytelling and who do not follow conventions. They go with the demands of the script. However, there are other capable directors who compromise for the sake of the box office.a�? 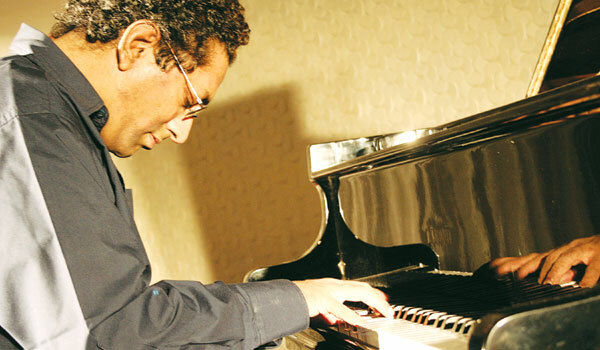 Irrfana��s career is as admirable as is his matter-of-fact attitude to his achievements, accolades and versatility. And hea��s far from done. After films about constipation, dinosaurs, and lunchboxes, he has said that he would love to do a film about music. Herea��s hoping. Renowned for being silent on sets, Khan says hea��s kept to himself right from his college days. Calling himself shy, he admits that during his days at NSD (National School of Drama), he could never call his teachers by name. In fact, with few friends and a limited social life, his only source of fun was sports. Now, however, the actor can name some of the industrya��s biggest names as co-stars. Like Aishwarya Rai Bachchan in the upcoming film, Jazbaa. a�?Aishwarya doesna��t carry the baggage of her stardom and thata��s required for her role. She is doing it intelligently and delicately,a�? he said in a recent interview, adding that sometimes even intelligent actors commit mistakes. a�?For instance, in A Mighty Heart (2007, in which he also starred), I feel Angelina Jolie was stronger and more heroic than the role required her to be.a�? Shoojit Sirkar was clear right from the beginning that the role of Rana Chaudhary in Piku had to be portrayed by Irrfan Khan. a�?He is a very cool actor. He would always want me to narrate the script with the writer around, so he could understand the essence of the character and what I wanted. He would want to know why the character steps back, wears what he is wearing, says those words, everything. He doesna��t mug up lines. He will just listen to us and absorb everything. On the sets, he would walk in and out of his vanity van and we would wonder if he was ready for the shot or not. So we would wait, observe his actions, and then take a call. His dialogue delivery is very organic and that comes out of discipline,a�? says the director. As for Khan maintaining a low profile and not being publicity hungry, Sirkar adds, a�?He started out in life like that. PR is the last thing on his mind. Anyhow, everybody knows him now, and he doesna��t need PR.a�? It all began with a survey last year. When young adults in five countries (including India) were asked to name someone from the UK arts scene who interested them, William Shakespeare topped the list. So, on the occasion of the Barda��s 400th death anniversary next year, the British Council is organising a global programme of events. a�?a�?Shakespeare Livesa�� will begin this July and run through 2016, and will explore him as a a�?living writera��,a�? says Mei-kwei Barker, director, British Council South India. Besides working with theatre groups, museums, educators and artistsa��like Shakespearea��s Globe, and the Royal Shakespeare Companya��on new plays, film adaptations, public readings and the like, there will also be a global short filmmaking competition. a�?Called a�?Bitesize Barda��, we are inviting budding filmmakers to reinterpret one of eight iconic Shakespeare scenes in a single take. 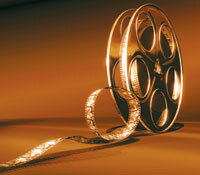 A panel will then select and award the 12 best films,a�? says Barker. The programme, which aims to reach over half a billion people, will also have a unique online collaboration. a�?All The Worlda��s A Stage will have people from all over the world uploading clips of themselves performing lines from Shakespeare plays. It will culminate in a crowd-sourced performance and a new digital version of Shakespearea��s works,a�? she adds. 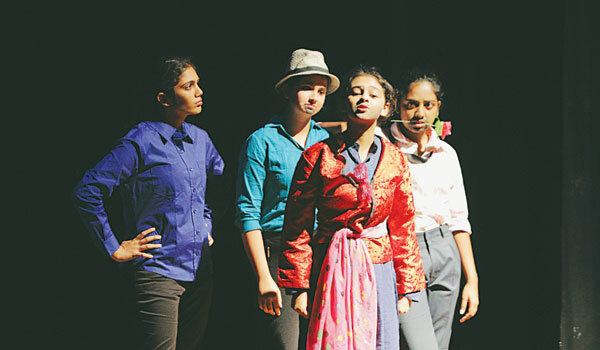 In India, we can look forward to Filter Theatrea��s Twelfth Nighta��a fast-paced play that will tour 12 cities, including Chennai, later this year. British Council will also be holding screenings of Shakespearea��s plays from the BBC and will be bringing down British writers and artistes, who will present their work along with their Indian counterparts. WHILE he made us laugh in Munna Bhai MBBS, we hated him in Jolly LLB and danced with him in Happy New Year. 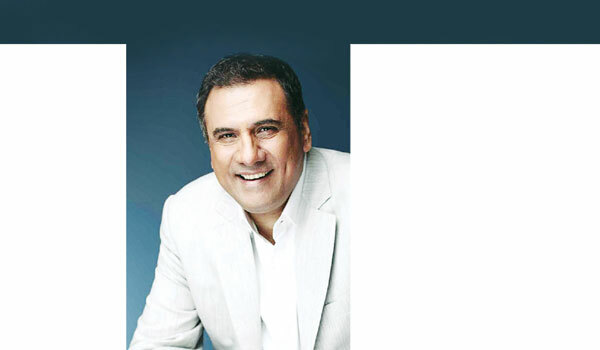 Actor Boman Irani walked into the world of cinema at the age of 41 with Everybody Says Ia��m Fine! Before becoming a successful actor, the 55-year-old was a waiter, sold burritos, and did a stint as an automobile photographer. With over 60 films (over the past 14 years) on his resume, Irani is easily one of the most talented actors in the industry and one who has come a long way in a short span of time. Despite his share of flopsa��with films like Housefull 2 and Gamea��the Mumbai-based actor is optimistic about this yeara��s outings. Catch him in his upcoming movies like Rohit Shettya��s Dilwale, which is a rom-com; Housefull 3A� by Sajid-Farhad, a comedy; and The Legend of Michael Mishra by director Manish Jha, which also stars his son, Kayoze Irani. There is also Bengal Tiger, Irania��s second Telugu outing.He has also recently started endorsing products like the air freshner brand, Ambi Pur. Talking about his quick climb in the film industry, he says, a�?An actora��s journey and a persona��s journey run parallel. As you are evolving as a person, you evolve as an actor tooa��from life experiences, knowledge and emotion.a�? Having worked with both the Khans,Aamir Khan and Shah Rukh Khan, we wonder if Irani has any favourites. a�?Well, my wife is my favourite. Of course, Ia��m joking, but besides that my Happy New Year team is very close to me,a�? says Irani. No matter the genre, Irani plays them all with ease. a�?If you ask me, it is the endeavour to make a character real, yet interesting that matters the most,a�? justifies the former theatre artiste who wants to try his hand at a period drama. Critics call him perfect, but the actor is modest. a�?Every film is different. The only thing I keep track of is not getting into a comfort zone,a�? he says. The PK actor is known for his unusual choice of films. a�?By being afraid and then overcoming that fear to play a role that I have signed on for, is how I motivate myself,a�? he says. Inspired by actor Balraj Sahani, Irani believes that a frustrated actor can deliver better. He says an actor should beA� unfulfilled at all times because it is only when the actor is angry, that he or she will work harder and give better results. NO, Kakka Muttai is not Indiaa��s Slumdog Millionaire. Director and writer M Manikandan is quick to respond when asked how similar his debut feature is to Danny Boylea��s film. Things have changed for the 32-year-old, after Kakka Muttai won two National Awards and opened at the 39th Toronto international Film Festival. The film is about two slum boys and their quest to eat pizza, and Manikandan is confident it will be a hit. a�?People are emotional and sensitive. We just dona��t watch a movie; we get involved in it and imagine it to be our story,a�? says the city-based director. Manikandan entered the industry 10 years ago as an assistant cinematographer. Kakka Muttai is produced by actor Dhanush and director Vetrimaaran. And as far as unusual scripts go, the directora��who has also made two short filmsa��says, a�?People are still warming up to quirky scripts. As a director I need to compete with those who make commercial films. 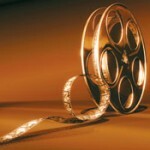 Producers are also not willing to spend as much on unusual films.a�? Even as the Fox Star Studiosa�� production is ready to release on June 5, Manikandan is working on his nexta��where he is trying his hand at a different genre. a�?I dona��t want to be stereotyped. So my next, with actor Vidharth, is a thriller, withA� music by Ilaiyaraaja. There are several genres to try. However, my favourite is realistic drama,a�? he concludes. Kakka Muttai is scheduled to release on June 5. KALIEASWARI SRINIVA-SAN,A� Kali to friends and the Chennai theatre circuit, is in a celebratory mood. 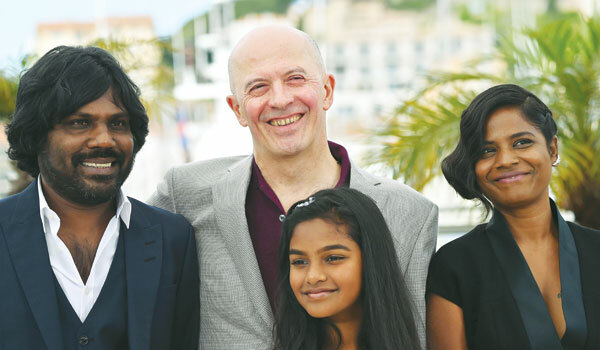 Her Jacques Audiard-helmed immigration drama, Dheepan, came away with the top prize at the 68th Cannes Film Festivala��the Palme da��Ora��last week. But the 30-year-old has not deluded herself into thinking she is a star yet. a�?a�?I know the fame is short-lived,a��a�� she says, adding, a�?a�?And I am not someone who visualises my future.a��a�� Away in the French countryside, in the spectacular Luberon region to be precise, with not another house in sight and just her husband for company, Srinivasan only knows that she wants to continue acting. Srinivasan used to work at a call centre before her a�?a�?accidental introduction to theatrea��a��, courtesy a workshop she attended to become a radio jockey. Given that her only film experience till Dheepan was a brief role in an award-winning short, Kuttram Kadithal, she believes being a�?a�?a blank slate and open to experimenta��a��was what worked in her favour. Post the Cannes win, when interviewed by The Wall Street Journal, about how he found his cast, director Audiard had said, a�?a�?Ia��ve worked with non-professional actors before and I actually prefer it… I like to go toward new faces, new colours…a��a�� The relatively low-profile crime dramaa��about a family of Tamil immigrants living in Parisa��was shot over three months last year in Paris and the suburbs, just after Srinivasana��s wedding. Some scenes were also filmed in Ooty. Srinivasan recalls her two-hour audition as a�?a�?phenomenala��a��. Even when it seemed that she didna��t stand a chance a��given that many from the theatre and film fraternity had auditioned for the rolea�� she relished the experience. 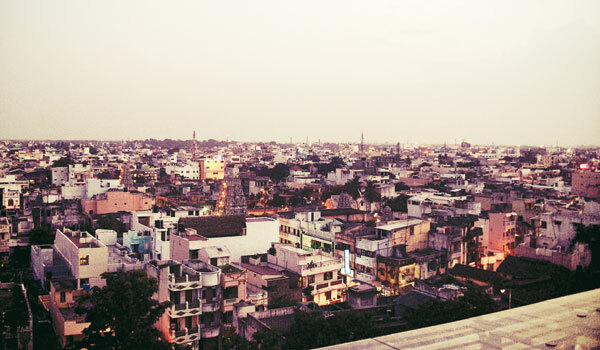 Once selected, the actor formed a bond with everyone on the sets, from her co-star, Antonythasan Jesuthasan, who introduced her to the Sri Lankan community in Paris and helped her with her accent, to her driver. In fact, her post-Cannes holiday, a much-delayed honeymoon, is at a cottage owned by the moviea��s costume designer. Describing her days on the Croisette, Srinivasan says even Tahar Rahim, the actor she adored in Audiarda��s prison thriller A Prophet (a movie she watched after her audition), had to be introduced to her, before she recognised him. a�?a�?I did not know anything about Audiard as well before my audition, but what I have learnt from him since is priceless,a��a�� she shares. As for the Cannesa�� famed red carpet, she gamely followed the motions at the photo calls, but let her stylist call the shots. a�?a�?Except for the blue sari, which was originally my wedding sari, I had no idea about the labels I wore. I am not one of our Bollywood beauties,a��a�� she chuckles, adding that it was her first turn in stilettoes as well. But she loved that the Cannes Film Festival, a�?a�?a thiruvizha,a��a�� was all about the movies. a�?a�?I cried through Mark Osbornea��s The Little Prince adaptation, which was both philosophical and spiritual. As for the (lesbian love story) Carol, I found truth in Rooney Maraa��s acting. You feel with her, not for her,a��a�� she concludes, hoping to act in Pondicherry director Kumaran Valavana��s 2009 travelling play, Land of Ashes, which is once again about the Sri Lankan civil war, when she returns. a�?a�?Theatre is not easy. But it is my calling,a��a�� she concludes. ?A� For tourists who are looking for a breakfast option, try La��Escale, where you can have home-made brioche, jams and more. Also try Artika Gallery (cafA� des artistes). As for must-try activities, do catch up on parasailing around the lighthouse. ?A� Pondicherry is known for its cuisines like Creole, Western, Tibetan, Indian and French. Check out La Villa, handmade momos (on Patel Salai), Canteen 18, New Farm Fresh andA� the new menu at The Promenade (rooftop restaurant) are all very good. ?A� For the discerning, there areA� homemade and organic products at Auroville like Marca��s CafA� and Dreamera��s CafA�, Farm Fresh and Gelato Factory. ?A� For antique furniture, I recommend, Renaissance and Geethanjali. 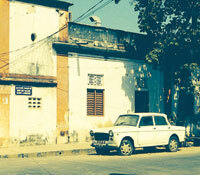 For handicraft, new stores like La Boutique Saint-Laurent, Janaki and Anokhi. USING card games, puzzles and catchy posters, Waste Less, a non-profit social organisation, is busy initiating waste management awareness in schools throughout the country.A� Started in 2010, it was initiated by Ribhu Vohra, a hotel management graduate from Netherlands who had resigned his lucrative HR job in Amsterdam to do something worthwhile in his homeland. Born and raised in Auroville, it all started when Vohra teamed up with his sister Chandrah Nusselein (who holds a masters degree in pedagogical sciences), in helping out with waste management at the colonies around Auroville. a�?An average Indian produces 420 grams of waste per day. Waste is undeniably one of our most serious growing problems. 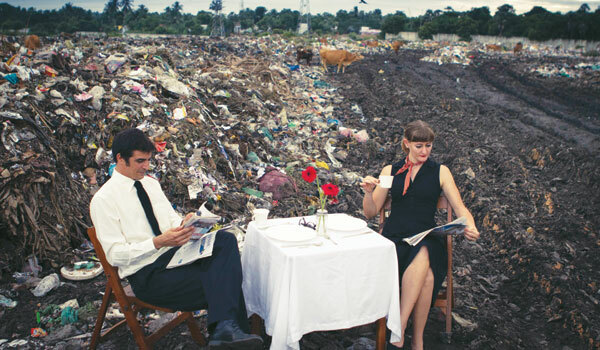 The aim of Waste Less is to make people aware of proper waste segregation and disposal,a�? says Vohra, 33. Making most of the smart phone revolution, the team is working on developing a mobile app version of their campaigns, starting with their card game on waste separation and recycling, which is part of their Pick It Up programme. They plan to make it a competitive game where the user can play against the IP or another player. Meanwhile, the physical kit has cards printed in seven categoriesa�� metal, plastic, paper, glass, organic, e-waste and non-recyclable wastea��A� with instructions in both English and Tamil. They have distributed the cards to several schools in Auroville, and made it available at the Visitors Centre, with plans to introduce it in all middle schools in the country within the next five years. a�?Instead of telling people to segregate their household trash into separate categories, stressing the ecological impact, we focus on guiding them on how to make money out of their garbage,a�? shares Vohra, adding that each family could make up to `115 a month. Their latest campaign is on sanitary waste management. To tackle the issue in schools, they have come up with boards and posters (both in English and Tamil) to be kept in rest rooms with instructions on proper sanitary waste disposal in marked bins. 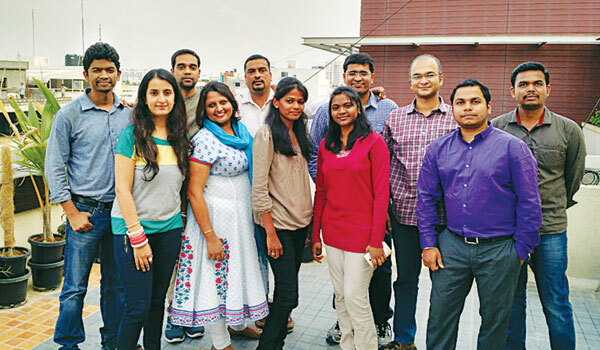 They have plans to collaborate with Ecofemme (an Auroville based social enterprise) to develop hygienic washable sanitary pads. Also on their agenda is a�?Clean Lab Campaigna��, which has been initiated at three Chennai schools, focussing on lab waste management in educational institutions. Meanwhile, their litter free campaign, Garbology 101, aims at reaching out to one million kids in the next five years. While Waste Less gets most of its funding from NGO groups, they also resort to crowd funding for some of their initiatives. Seasons Restaurant at Accord Metropolitan is hosting a Mediterranean food festival. Expect dishes like Spanish tapas, chilled gazpacho soup, insalatas and falafels. Their dinner buffet costs `745 plus tax per person. Till June 15, from 7 pm to 11 pm.